Cherry Mobile is now having a Festival Sale for 2013 where you can enjoy lot of freebies, promos, up 60 percent off on their products and more. They also listed their latest Android phones (e.g., Spark TV, Sonic, Click, Hyper, Flame 2.0 and Omega HD) with prices and specs. 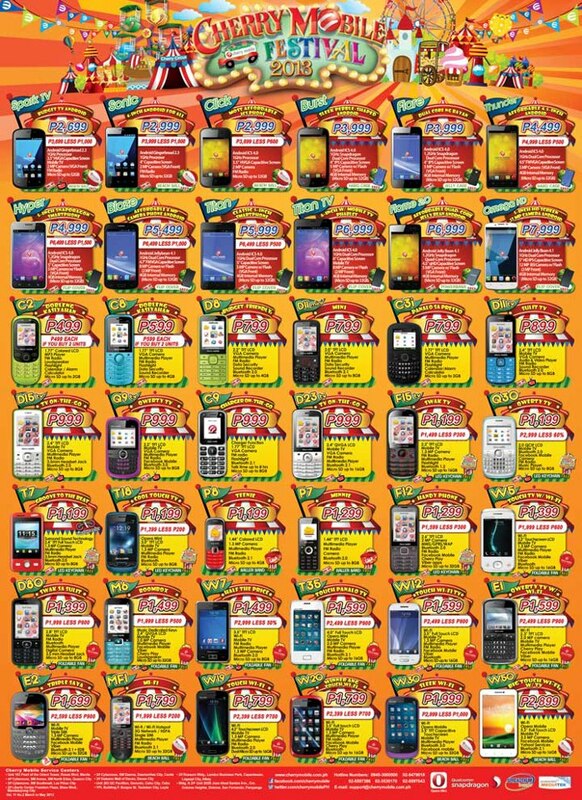 You can refer to list of Cherry Mobile phones available in Cherry Mobile Festival 2013 below or you can zoom image. 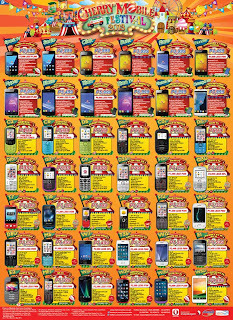 See image for other Cherry Mobile Phones available in Cherry Mobile Festival 2013. Sale runs from April 6 to May 31, 2013. For list of Cherry Mobile Android phones and tablets prices and specs see our list of Prices for Android phones and tablets. the cherry mobile android phone Burst Flare Thunder hyper titantv rave and magnum 2x it will be gone in june 2 november? Sir saan store po ba? nationwide ba? I bought cherry mobile w7, after 3weeks, hindi ko na po sya maopen. hindi ma determine ng technician kung ano ang problema. Sayang ng pera. Mas ma recommend kong bilhin yung Flare maganda sya at 3,999 pesos lang pero 1.2 GHz Dual Processor na sya. compare mo sa ibang unit na 1GHz lang.